allie artTM is now available to ship in the U.S. through our online store! We also do special orders. 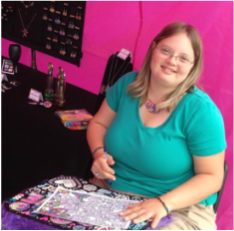 allie artTM is the colorful creation of Allie Guard, a young woman with Down Syndrome from Cincinnati who is drawn to the magic of color. 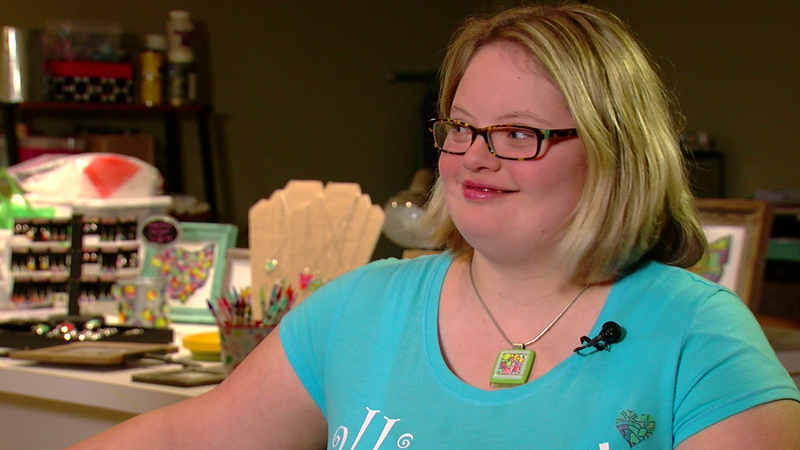 ​Cincinnati Museum Center, "Makers Faire"
Watch this video to hear more about Allie and her art business! ​We are excited to announce that 'allie art' is now be available at a very cool shop on the west side of Cincinnati called The Metallic Giraffe. Click here to check out the store! 'allie art' is also available at a new store located in Amelia, called The Colorful Cupboard! Click here for more information about the store!